LOVE THIS!!! This project was so much fun and easy (and cheap) that I want to do tons more! I payed under $10 for all four pillows! They turned out so much better than I thought they would! A few months ago I saw a couple blogs that had spray painted pillows on them, so I decided to give it a shot since that is about the only thing I hadn't spray painted yet! I didn't want to make new pillows that I would have to store (I am running out of room), so I decided to just make slip covers for the pillows I already have on my porch. My pillows are 16x16 so I cut the fabric into 17x17" squares. I then cut out stencils on freezer paper using my cricut. You could also do this by just free handing your design, or printing out images from the Internet and cutting and tracing them onto the freezer paper. The polka dots are 2"
The scull and webs were from dingbats I found on Dafont.com. Just click on Halloween fonts and there is tons of fun stuff. I then ironed on the freezer paper cut outs. At first I put a cloth over the paper to iron, but the paper didn't stick, you have to iron straight on the paper for it to stick. (shiny side down!) My iron was as hot as it goes and it worked great. This is Frog Tape. Make sure to press it down firmly. I didn't measure my dots or stripes, I just eyeballed them and you can't tell they aren't perfect! Now for the fun part, spray pain!!! I used satin black and cinnamon stick in satin as well. now for the reveal... I was so dang excited when I first started peeling off the paper - I couldn't believe how great it worked!!! The black didn't work quite as well, the color isn't as consistent as the orange, and my spider web bled a little because my son got a hold of the stencil and wrinkled it so it wouldn't iron flat. Oh-well, still madly in love! I then just put right sides together and sewed a half inch seam on three sides. I am going to put some velcro or snaps along the bottom edge to hold them shut, but that will have to wait for now, I couldn't wait to put them out. Oh my goodness those are SOOO cool!!! They turned out fantastic! Those are soooo SOOOO so cute!! I love them! Ive said it before, but I LOVE your blog!!! I want to make some of these, who would have thought.. spray painting pillows?! Cool! I love them too. Amazing! Very very clever and festive! Thank you for the great tutorial. 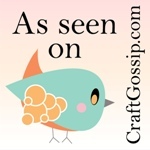 Found your blog through Someday Crafts, and these are too cute! I've got to try this for fall leaf pillows... I too am running out of storage for anything other than covers. Wow!!!! Thanks for linking this up! I am in LOVE with all of these! They look totally professional and beautiful. I will feature these in the next couple of days at somedaycrafts.blogspot.com. I had absolutely NO idea you could spray paint fabric. they look great!!! I love spray paint but have never tried it on fabric!They are adorable-I've got to get me a cricut machine!! OMG those are soooo cute!! I had my Halloween display all planned out in my head, then we found that the stupid termites had eaten through my wooden bench outside and we had to throw it away! :( So now I have no place to put my cool display... which would have looked awesome with the addition of these pillows. But I will favorite this and try it next year. Thanks for the great inspiration. I think these are awesome! Go you for trying out the spray paint. I've always considered it and then backed off, assuming I'd just screw it all up. So cool! I just got some Tulip fabric spray paint, and you have given me some great ideas! Thanks! I just wanted to say thanks for putting my button up on your blog when I feature your great ideas! I appreciate people recognizing my what I do and try to return some traffic back to me. THANKS! Seriously Maria those are awesome! Way to go! Yeah I think my porch is sad without those! I will call you later so I can benefit from your amazingness! I hope they are really as idiot proof as you make them sound! Those are sooooo cute, Maria! Your pillows are fantastic! I've been wanting to try freezer paper stencils. Holiday crafting is a great way to use it. And I'm LOVING the trip that you talked about. Are you kidding! It sounds AMAZING! We'll definitely check it out for sure! Thanks for all the great tips and info! I would never have know that the spider web bled or that the black isn't consistent, you can't tell by the photo any way. Thanks so much for all the recent inspiration. I just found your blog a few days ago and have already started a few of your projects for my home. So AWESOME!! I have to get on the ball and try the freezer paper stencil. I like all of them but, I love the polka-dots! I love those! Another project to add to my list. These are so much fun! I LOVE using spray paint! There are at least 20 half-used cans between my house and my garage...it seems like every project gets a spray somehow. I never would have thought to use it on pillows...great job! Hi! I'm stopping in from the CSI project. These pillows really caught my eye. They are so cute. seriously, can we be friends? you've got the best ideas! Just wanted to let you know that I shared this on my blog today. So, so, so cute! Thanks for showing us how to make these fun pillows. Hi! I am sharing this post on my blog at http://addictedtowhimsy.blogspot.com. Love these pillows! They are soooooo cute! This is my first time visiting, and I must say I am impressed! Happy Painting! Wow these are sooo cute!!! I never would have thought about spray painting on a pillow. The halloween pics are so fun, I love the spider web. Thanks for sharing! question- I am attempting a project similar (but 4th of July!) and I wanted to know if you could take the case off and wash it?? These are just adorable! Love the fabric you choose! Spooky cute! I love them! I would also like to know what people think about whether to get a Silhouette or Cricut. I so want one now! Oh my goodness I am in love with this idea! !I'm at work and should be working but now my mind is going crazy with ideas!! Thank you so much for sharing this super clever idea!! !